Definition – These are the lateral attachments of the uterus that originate at the uterine horns and extend out immediately below and in front of the fallopian tubes. They also cross the external lliac vessels before entering the inguinal canal. 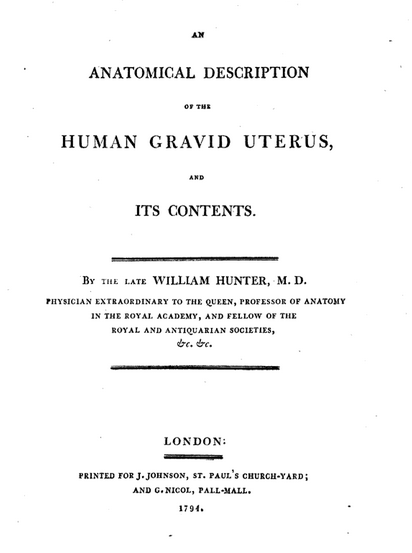 History – Named after William Hunter (1718-1783), who was a Scottish anatomist and obstetrician, and was the younger brother of John Hunter (an even more famous anatomist). He studied extensively on anatomy, with particular interests in obstetrical anatomy, and was also appointed as the chief physician to Queen Charlotte in 1764. 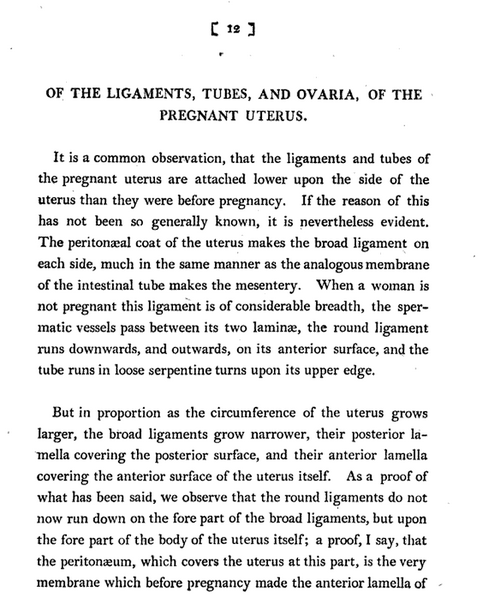 His namesake ligaments come from his posthumously published textbook An Anatomical Description of the Human Gravid Uterus in 1794.